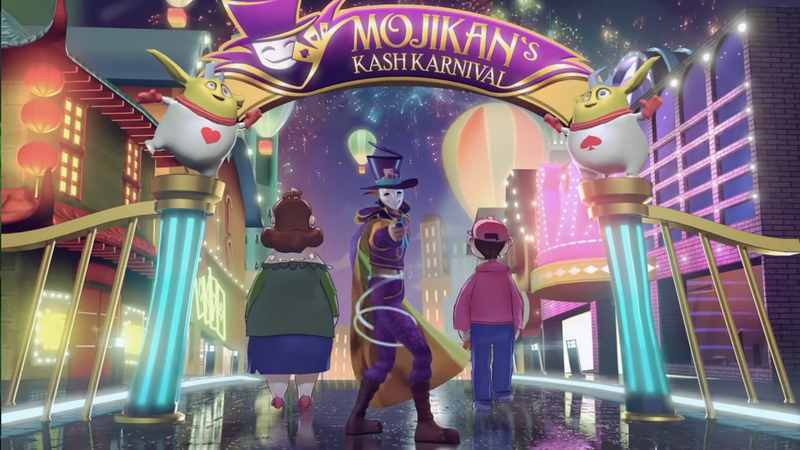 For one month at Royal Wins in Sydney as a contractor, I worked on a trailer project called “Mojikan’s Kash Karnival” for Mojikan, a mobile game that will be coming out soon. I was hired to create the early to mid stages of this trailer, which meant pre-visualisation of the entire trailer based on a storyboard from the director. I set up early versions of the entire animation, from camera shots, timing, character animation blocking. I also worked on creating much of the 3D environmental assets shown in these few screen shots, each scene ended with various degrees of changes since I left. For the Carnival theme park scene, the final version was almost exactly as I had made it, apart from the 2D background elements and extra lighting based on concept art from a team member, I modelled, shaded and animated the 3D assets here. 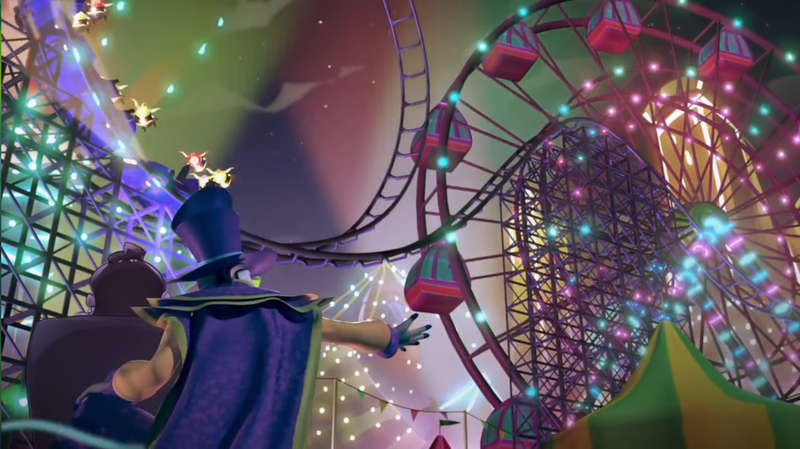 This included the turning Ferris wheel, the roller coaster and its animated carts, the lighting attached on them, as well as the tent and flags down below. These were made in blender then composited together in After Effects later on. I made a number of renditions of this golden treasure room, however only some of the assets I made got into this final shot. 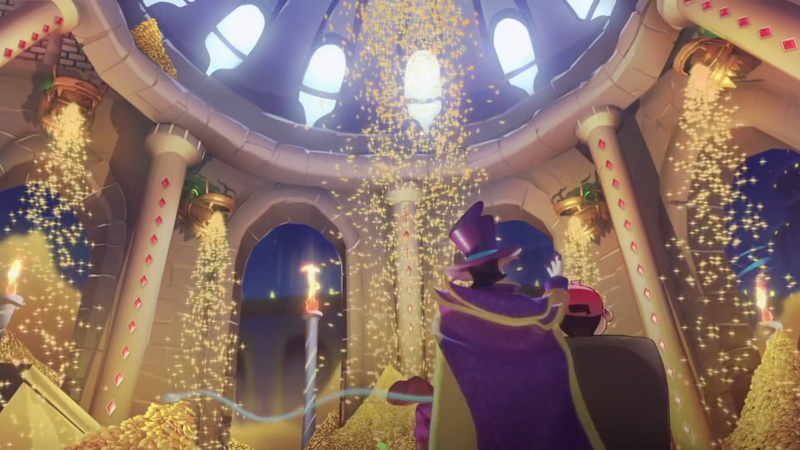 In my time there, I created a treasure room based on another concept art/ storyboard, and created mountains of gold coins. Using Blender, I had simulated up to sixty thousand rigid bodies to create more realistic piles of gold. I also made an earlier version of gold coins showering down from the dragons head, but this did not make it to the final version. This final scene, I modelled and UV unwrapped everything for other team members to texture and composite, apart from the golden femce on the sides – I did make those pillars too! But I really liked the idea behind this shot, and it felt befitting of the entrance to the Mojikan world. Overall it was a fun team project to work on. The main character, Mojikan ended up very well and credits to the team for that. Posted in Blender, Generalist, MayaTagged Royal WinsBookmark the permalink.